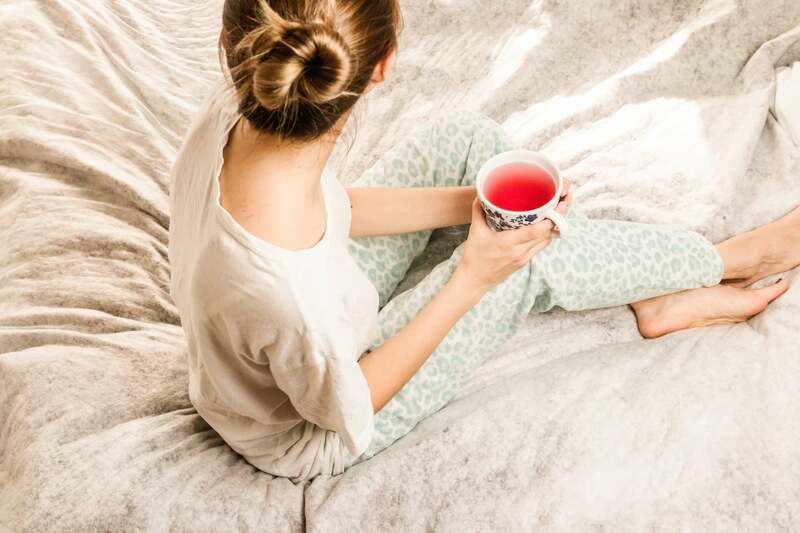 When our periods arrive, they sometimes bring along a host of seriously unpleasant side effects, such as nausea, headaches, backaches, and those dreaded menstrual cramps. For some women, cramps are a mild inconvenience easily fixed by popping an Advil, but many others find themselves curled up in a fetal position, clutching a heating pad, and popping over-the-counter pain relievers to no avail. According to the American Academy of Family Physicians, approximately 20 percent of women experience menstrual cramps that are severe enough to affect their ability to function and go about daily activities. Cramps are pretty much accepted as part of the menstrual package, but let’s take a look at what exactly causes them, how to alleviate the pain, and when you should see a doctor. Dr. Kecia Gaither, an ob-gyn and the director of perinatal services at NYC Health + Hospitals Lincoln, explained that substances called prostaglandins are what induce the uterus to expel its lining. “Sometimes the contractions may be so strong as to compress the blood vessels feeding your womb, thus decreasing the oxygen supply to the uterus. This whole cycle of events leads to the sensation of crampy pain, known medically as dysmenorrhea,” she said. Certain women are more likely to experience menstrual cramps than others, Gaither added. Women who have been diagnosed with uterine fibroids (growths in the uterus), endometriosis (a condition in which the lining grows outside the uterus instead of inside), adenomyosis (when tissue grows into the muscle wall of the uterus), and cervical stenosis (when the cervix is narrower than usual) are at greater risk for painful periods. How Do I Treat Cramps? “The best thing by far for cramps are anti-inflammatories, like Advil and Motrin,” Knopman said. Downloading a period tracker app so you can take anti-inflammatories before you know that your period and its accompanying cramps are coming is helpful as well, said Dr. Sherry A. Ross, a women’s health expert and expert on the MedAnswers Platform. Adjusting your diet might also help. “Calcium-rich foods and supplements reduce muscles from cramping. Ideally 1,000 mg per day of calcium works best,” Ross said. “Cheese, yogurt, milk, sunflower seeds, spinach, soybeans, kale, figs, almonds, sesame seeds, and tofu are excellent sources of calcium,” she added. Other helpful foods include dark chocolate, flaxseed, cinnamon, fiber, and parsley. “Adding ginger to hot water is also a useful remedy,” she said, because hot water helps relax the uterine muscles. Warm baths and heating pads are another go-to tip recommended by all doctors we spoke to, and because you deserve to treat yourself during the worst time of the month, you might as well opt for a massage because it could help. “Aromatic massages with essential oils like lavender, sage, or marjoram may help with cramp relief,” Gaither said. What Are the Signs That Your Cramps Are Abnormal? Ross said accompanying symptoms are also a reason to seek medical attention. “Period cramps that are associated with debilitating pain, heavier bleeding, fever, chills, nausea, or vomiting are a reason to contact your healthcare provider,” she said.